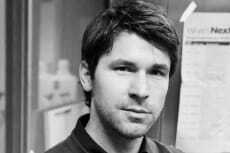 NYSCF – Robertson Stem Cell Investigator Dr. Alex Meissner, Harvard Universtiy, publsihed his latest work studying DNA methylation patterns in Nature Genetics. Dr. Meissner and his team used a gene editing technology called CRISPR/Cas9 to investigate the roles and targets of three DNA methylation molecules in embryonic stem cells, finding that some of the results contrasted directly with mouse models of the same experiment. DNA methylation regulates gene expression, making it an extremely important area of research for understanding cell and disease development.